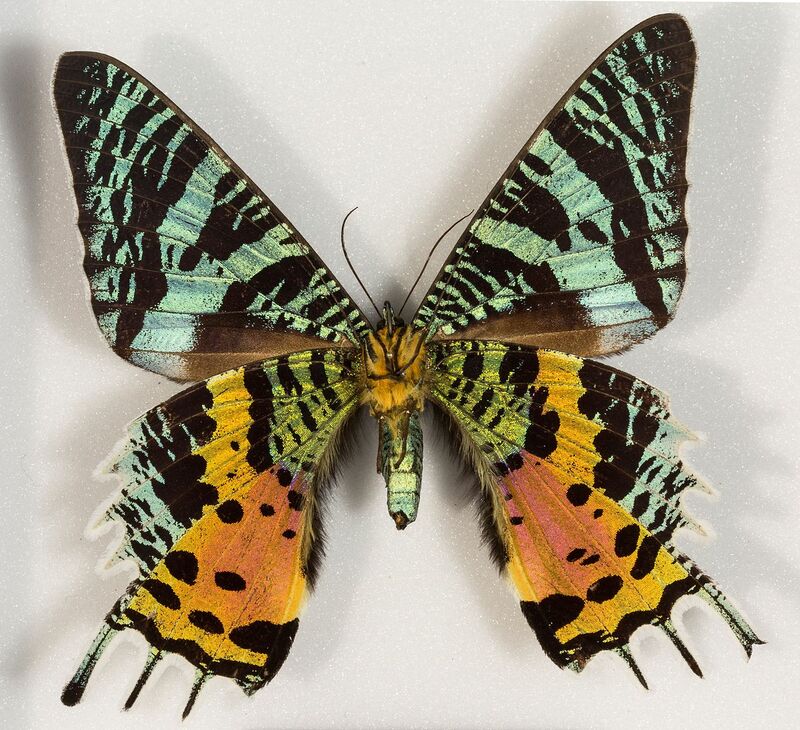 Chrysiridia rhipheus, the Madagascan sunset moth, is a day-flying moth of the family Uraniidae. It is considered one of the most impressive and appealing-looking lepidopterans. 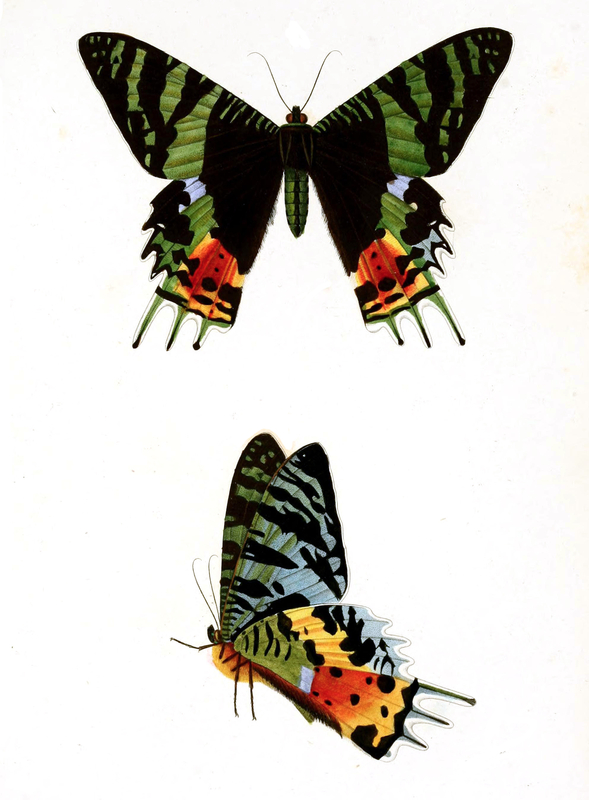 Famous worldwide, it is featured in most coffee table books on Lepidoptera and is much sought after by collectors, though many older sources misspell the species name as "ripheus". It is very colorful, though the iridescent parts of the wings do not have pigment; rather the colors originate from optical interference. Adults have a wingspan of 2.8–3.5 in.